The Five Deeps Expedition is a world first. Alexandra Gould has been appointed expedition artist of Victor Vescovo's momentous and daring journey. In a unique deep sea submersible, on a expedition traversing 74,000 km in 11 months with up to 50 scientific lander deployments gathering data and specimens, this is the first manned expedition to the deepest point in each of the five oceans. Captained by Stuart Buckle and led by Rob McCallum the uniquely equipped vessel 'Pressure Drop' is charting a course for the scientific discoveries and ground breaking descents of the the deep sea submersible 'Limiting Factor'. Alan Jamieson and Heather Stewart are uncovering new discoveries in marine ecology and geography from the many solo and 2 person dives piloted by Victor. John Ramsey's designs for the sub made real by Patrick Lahey have created the unique blend of personalised technology that have made such an ambition possible. 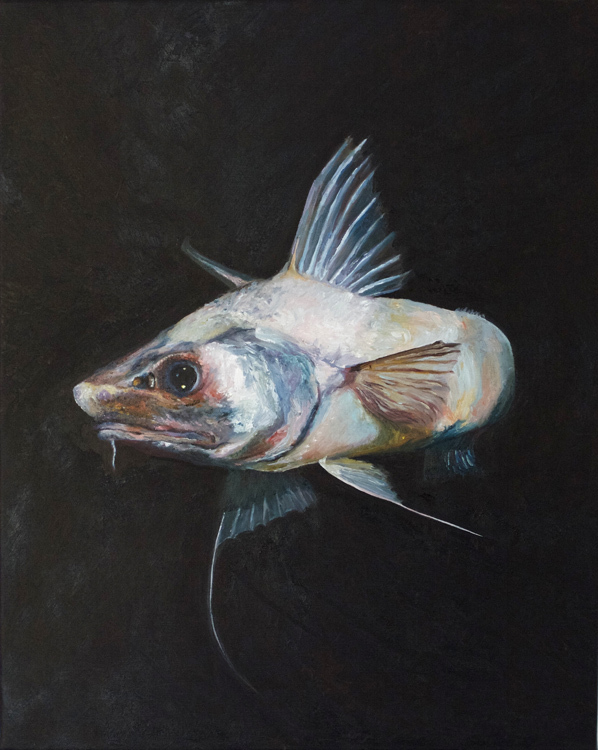 Alexandra Gould will be painting the exhibition leaders as they strive to explore the deepest deeps, revealing the deepest marine ecology on our planet. Inspired by the Five Deeps expedition, the art will feature the deep sea submersible alongside remarkable new discoveries in marine ecology capturing the dynamic project and its unique challenges as they are revealed for the first time in human history.